Below, you will find images of various rashes from residents within the 4 states area who have experienced tick bites, followed by the Erythema migrans rash that sometimes accompanies the Lyme disease bacteria (Borrelia). 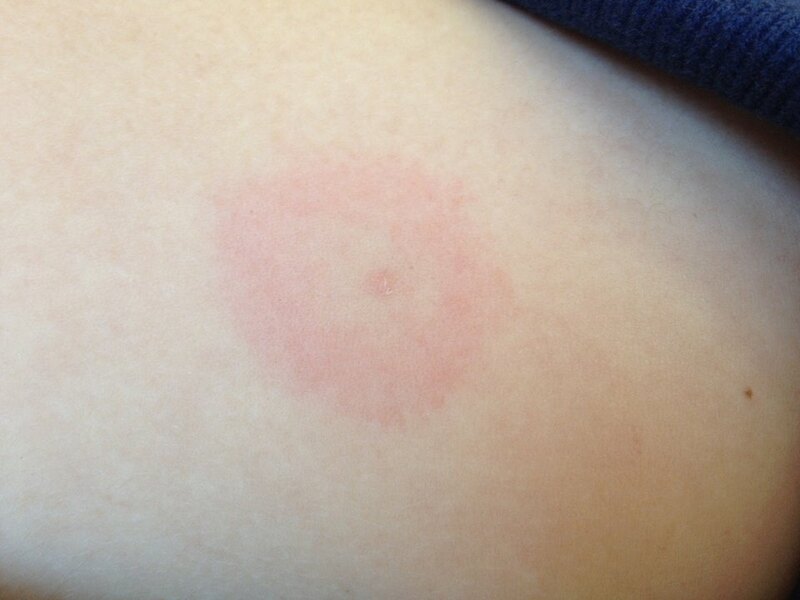 NOT EVERYONE GETS THE BULLS EYE RASH. You can still have Lyme disease even if you’ve never had a rash. 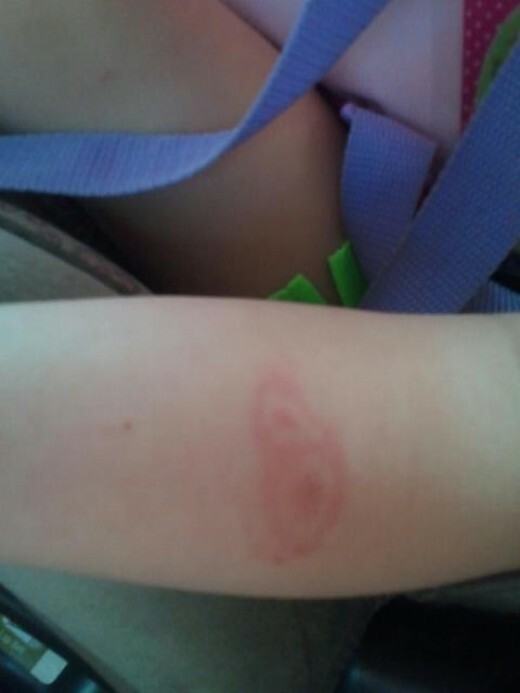 The Photo above was taken by a North Little Rock, AR woman after being bitten by a tick. 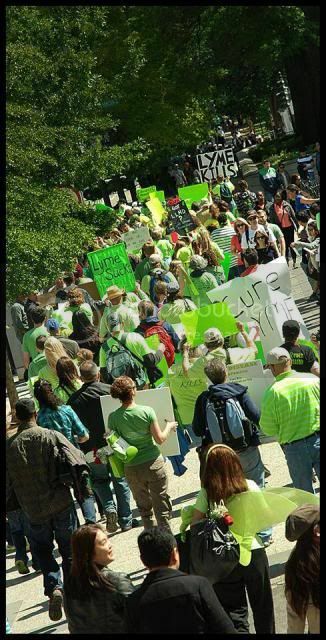 Yet, patients are told time and time again that there is no Lyme disease in Arkansas. ****Photo below: taken from a man who was bitten by a tick a few days earlier. He was from SW Arkansas and was bitten by a tick in the same area. 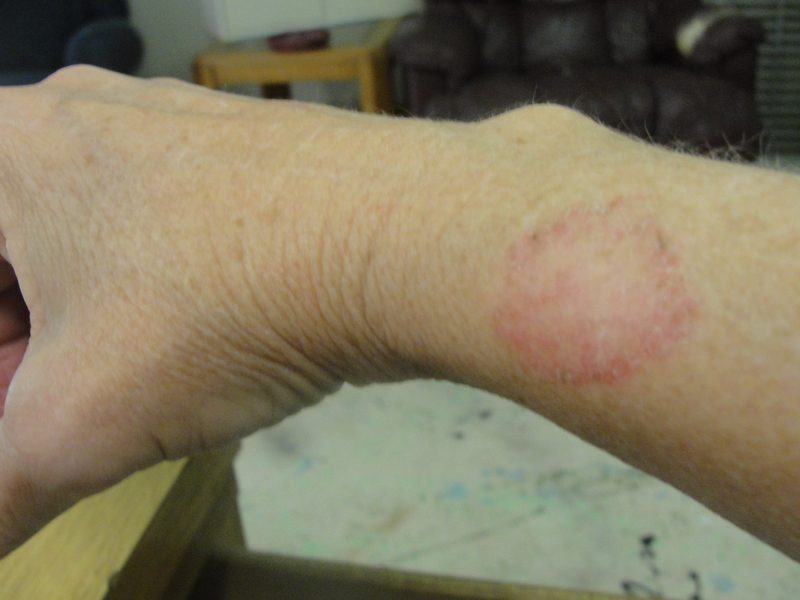 ***The Photo below is from an Arkansas woman who went to the doctor with this angry rash and was told: “It’s nothing….don’t worry about it”. See the embedded tick. ***Woman (below) from Northwest Arkansas who has been ill for several years. When she is symptomatic, this rash appears on her body. It is not a skin disorder; it was cultured and tested. 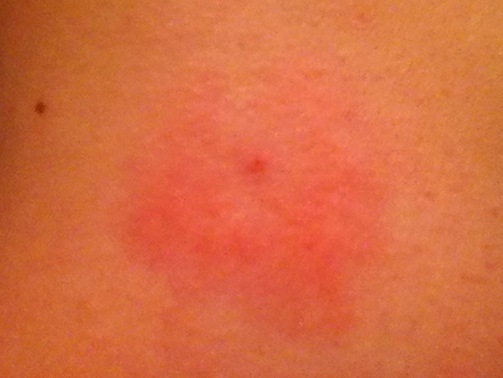 Another example of a rash from a tick infected with Borrelia (Lyme). This photo is from a Little Rock, AR woman. 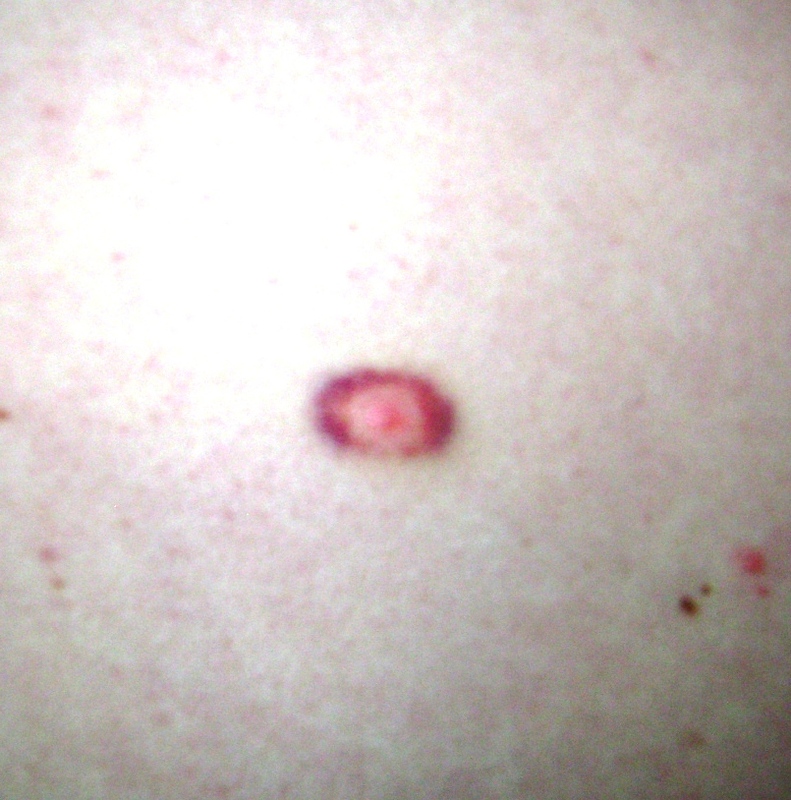 The rash had a central clearing that was not evident in the picture but was verified by her doctor as a bulls eye rash. This rash-like bump appeared approximately 4 weeks after several tick bites. It was accompanied by fatigue and joint pain. 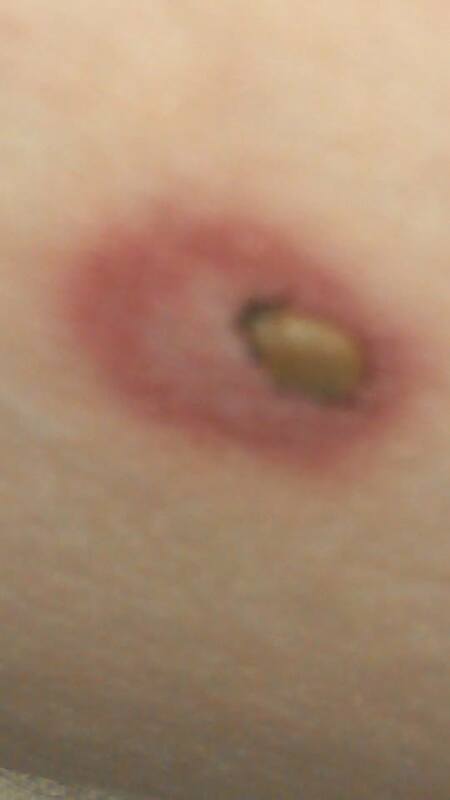 It was a red, raised bump that was hot to the touch, but not sore.It was eventually opened and drained (no fluid, only blood). Epsom salt soaks helped heal the wound. fever and flu-like symptoms.She had no recollection of a tick bite. The child was diagnosed after doctors informed her mother she was positive for West Nile Virus. But is this typical of West Nile?